The Teacher portal is design for Language Teachers to display their classes and enter absences and comments, and for Vocational Teachers or assigned Trainers to enter absences and result outcomes. 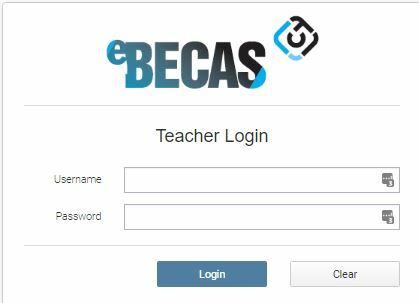 To use the Teacher Portal requires access via an internet browser on a Computer, Tablet or Smart phone – the portal is not accessed using the eBECAS program. Ideally Teachers would use a portable device (tablet or phone) and enter absences or results directly in the class directly. 1. an eBECAS User with the User Type Teacher. 2. VET Trainers are assigned by Enrollment. 3. for Language and VET classroom based instruction, Classes must have the Teacher assigned to the class with the room, date, and time period identified. In eBECAS from the Language Class search (screen 4.7) you should see these columns (if you see columns other than these please press F12 to reset the column display for this form, close the form and open the form again, and you will see the columns correctly displayed. To display and edit the Class Teacher, Room and Times, highlight the class and press Modify, which will display the class details. 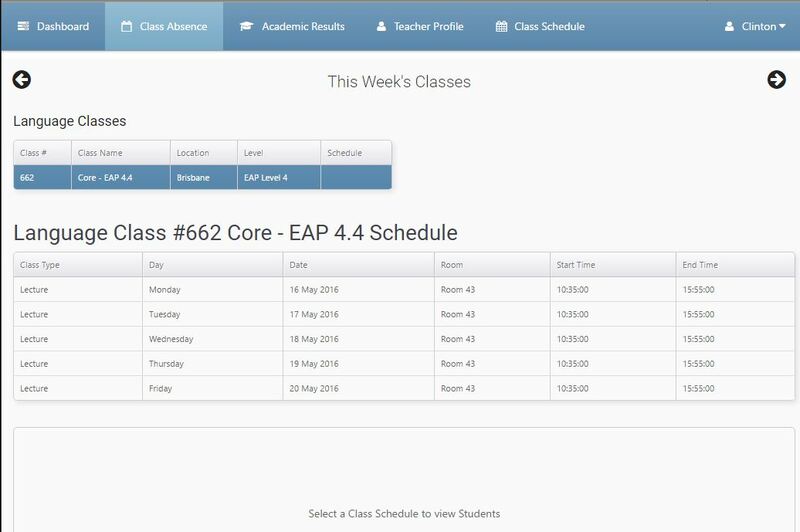 (Note you cannot edit the Class name or Level – if you want to change the Class name or Level – create a new class (or enable an in-active old class) with a different name and different level and move as of a date the students from the original class to the new class ( to review how to move Students from Class to Class as of a date – see Class allocation area of the online manual). Each College has been given a url (internet address and path) which when displayed in an internet browser enables the Teacher to login for the Teacher Portal. Each teacher needs to enter their user name and password. 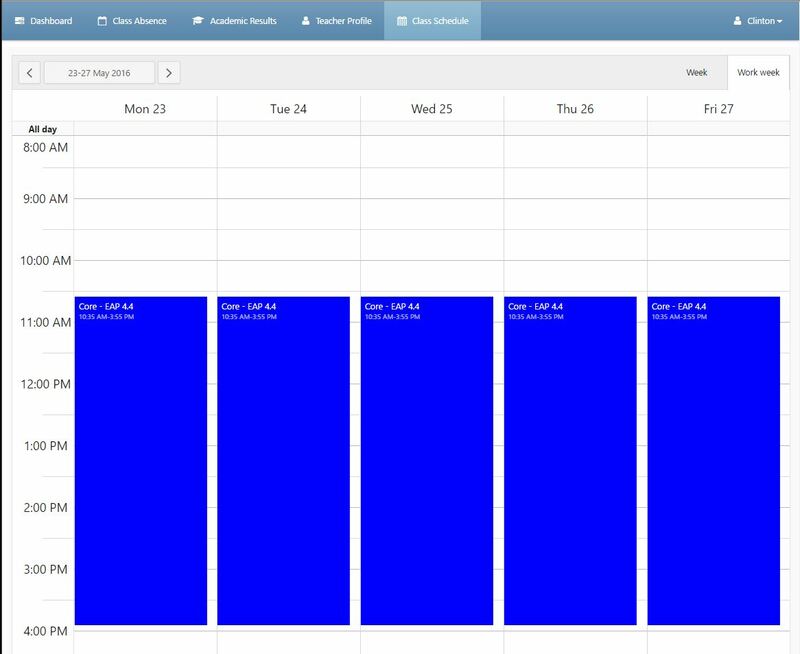 Selecting the menu option Class Absence displays the Class list, and selecting a class displays the days and times. Selecting a Day and time displays the students where you can mark and specify the absence period and add comments.